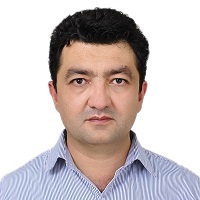 Dr. Zia Bina is the founder of BARAN�organisation. He has been graduated from Kabul Medical University in 1999. He also got his EMBA from Preston University in 2004. Meanwhile in 2009 he has been awarded from Leiden University in Audiology. In the same year he completed a course on Health Economics from World Bank University. In 2013 he has been awarded for PRINCE 2 certificate from London. He has the experiences of working with Swedish Committee for Afghanistan (SCA), UNDP, EC, UNMACA and currently working in BARAN. He is member of Kabul Chapter advocating for SCA and the founder and member of Social�Development�Association. He�wrote several topics on health ,�management, economics and leadership.